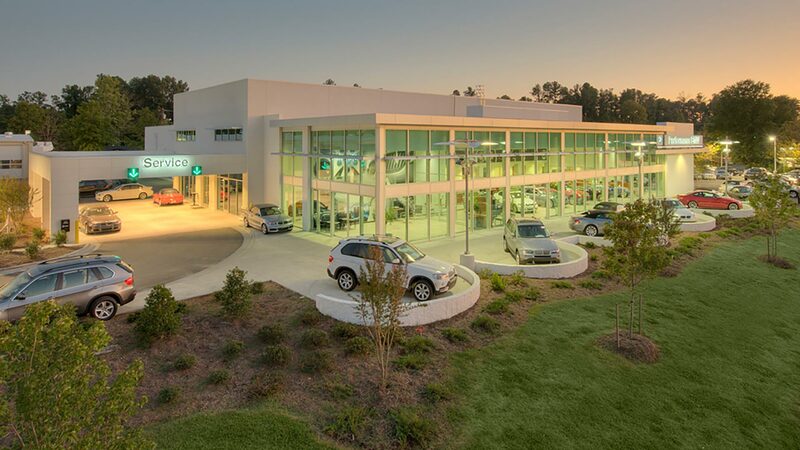 Located on the busy US I5-501 HWY in Chapel Hill, this project has proven to be a challenge to pass all of the town's stringent zoning ordinances. Good things are worth waiting for, and when this facility was completed, it not only fit within town planners guidelines; it impressed them. 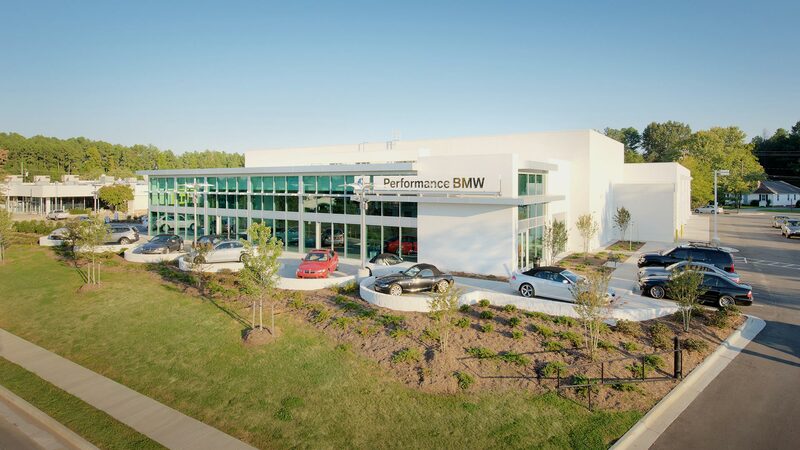 Sleek, European exterior facades and simple lines on the interior help this facility reflect the immaculate design quality of the BMW automobile. 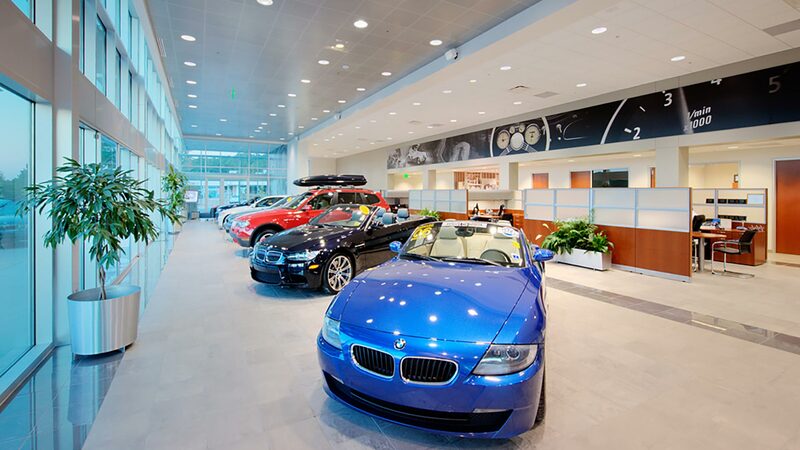 A bold 4,000 sq ft showroom shows off BMW's latest models, while providing intimate settings for closing deals. 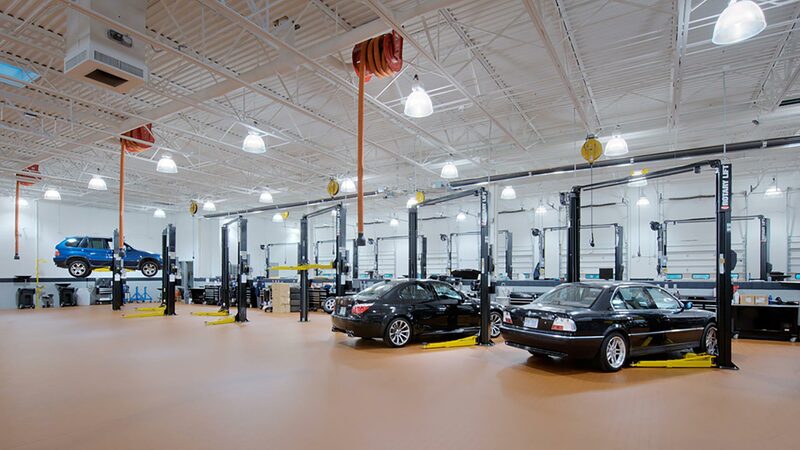 28 bays of service more than serve the customers on an efficient turn-around. 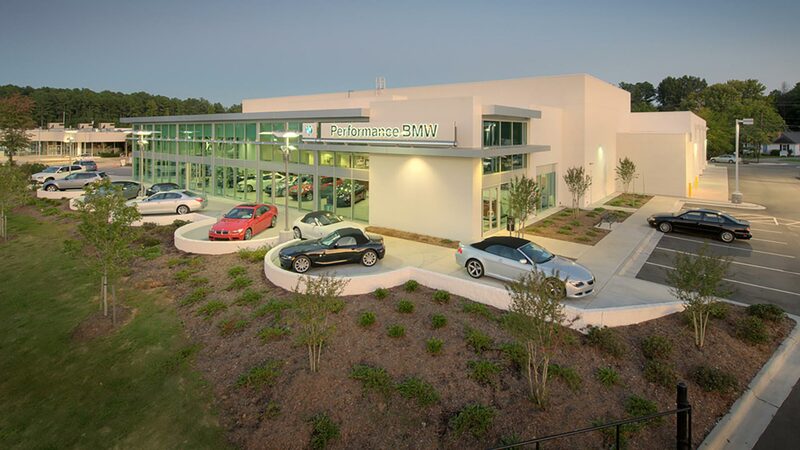 Everything about this beautiful facility is geared toward customer experience. 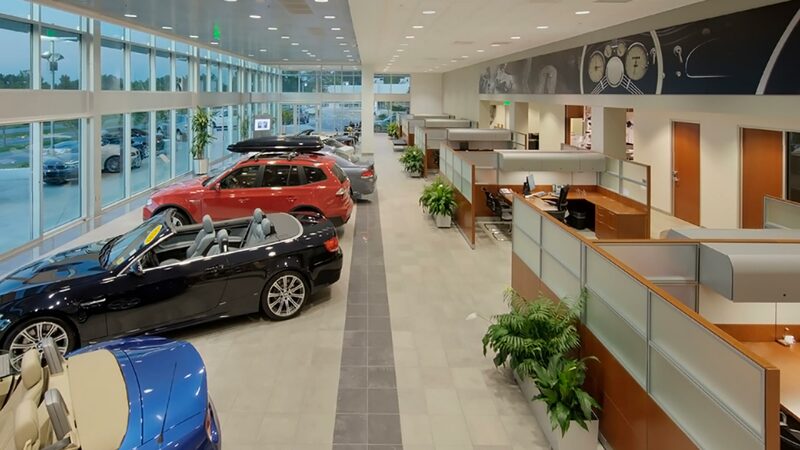 A stand-alone vehicle dedication room sends each customer out of the store in style and comfort.